We specialise in commercial and industrial plumbing and provide our services for schools, aged care and domestic residences. Quality plumbers and gas fitters in Melbourne. Get in touch with our team at Sunshine Central Plumbing. We have the experience and the industry capabilities to do just about anything you need in terms of gas installations, repairs and maintenance. Click here. We supply a wide range of plumbing services to Melbourne’s industrial and commercial sectors. We have an established reputation for providing a quality service at an affordable price. Click here to find our full range of services. Your home is your sanctuary, and you want everything in working order, from a flushing toilet to hot water. 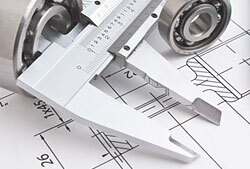 At Sunshine Central Plumbing we offer a great range of services and deliver brilliant results. Click here to learn more. Are all your saucepans on the floor collecting a steady stream of water? Or do you fear there’s asbestos in your ceiling that you don’t want your kids breathing in? We can help. Click here to find out more. Need plumbing help fast? We are always here for you Melbourne, 24 hours a day, 365 days a week. We have the right advice to get you out of sticky situations over the phone and the tools and crew to get you fixed up. Click here. For Melbourne’s most trusted professionals from Footscray to Sunshine and all throughout Melbourne, contact us today. We offer a wide variety of other quality services and are more than happy to help. Click here to contact us today. Call Sunshine Central Plumbing today to schedule an appointment with our team. We specialise in domestic, commercial, industrial and emergency plumbing and offer competitive pricing for a premium service. Industrial maintenance contracts with large organisations has helped us develop long-lasting relationships with various engineering teams throughout Melbourne. We do everything from gas installations and repairs and fire services to blackflow prevention, hot water repairs in Melbourne and more. 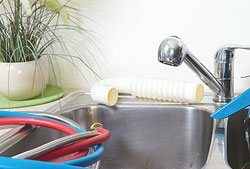 Whether it’s replacing a hot water service or investigating grey water installation options, you can defer to Sunshine Central Plumbing for your domestic plumbing needs. We can also fix burst pipes, unblock drains and so much more. Is there water leaking in places it shouldn’t be? Need a hot water service replaced? Call one of our operators 24 hours a day 365 days of the year. We’ll have an expert plumber call you back and get your problem sorted before you can say “carpet damage”. Let us help you with your next bathroom project. Our acute attention to detail and experience will ensure that you receive best value for money as well as an installation of the highest standards. Twenty years in business doesn’t happen easily – it comes with hard work and a service that people can count on! We provide a professional and reliable service that can be tailored to accommodate your specific needs. Sunshine Central Plumbing has been servicing my company for many years, supplying skilled labour and quality materials for both new installations and maintenance works. I have always found their plumbers to be professional and timely, and their work is always to a high standard. No job has been too big or too small. I would recommend Sunshine Central Plumbing to any business or residential premises. Having worked with Pieter and Sunshine Central Plumbing for over 10 years I can safely say that during that time the level of professionalism they have achieved has always been at the highest level. Whether it be in undertaking routine works or in response to call outs, large or small, the guys at Sunshine Central Plumbing have responded immediately, effectively and always displayed the highest standard of workmanship. My working experience with Sunshine Central Plumbing has been nothing short of exemplary, a great organisation to do business with, professional in all aspects, and highly focused in providing for customers’ needs.